What are London Fitbit Developer meetups all about? Fitbit Dev meetups are the hackiest of happy hours! 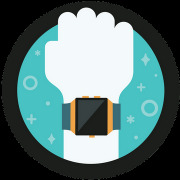 Join us for regular gatherings to highlight projects from our amazing global developer community who love working on cool apps, exploring connected hardware integrations, and sharing app development insight for the Fitbit OS platform.